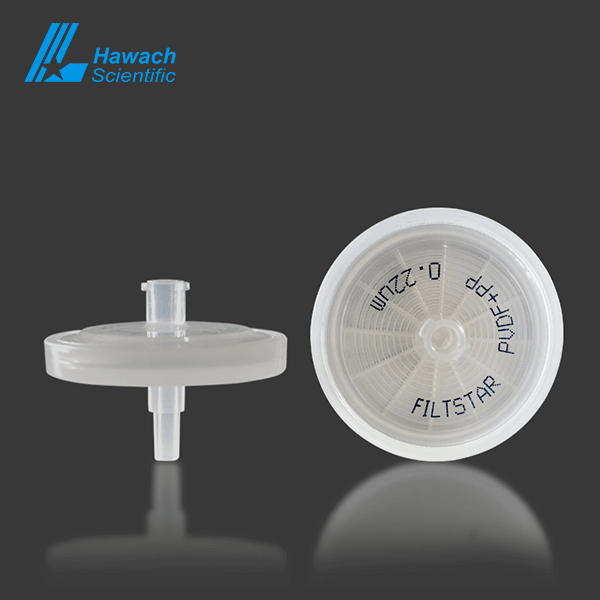 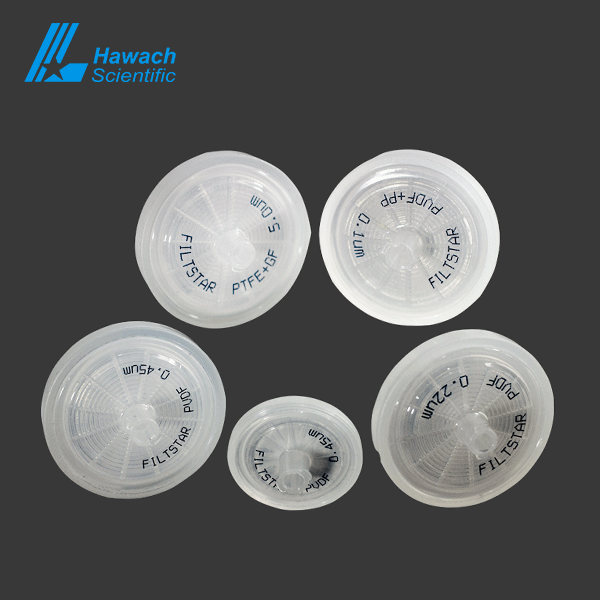 Hydrophobic PVDF syringe filters are suitable for the application of biological sample filtration to clarify mild organic HPLC solutions. Hydrophobic PVDF syringe filters provide rapid flow and are usually compatible with most commonly used solvents. Hydrophobic PVDF syringe filters have a very low protein binding, making it an ideal choice for protein rehabilitation applications. 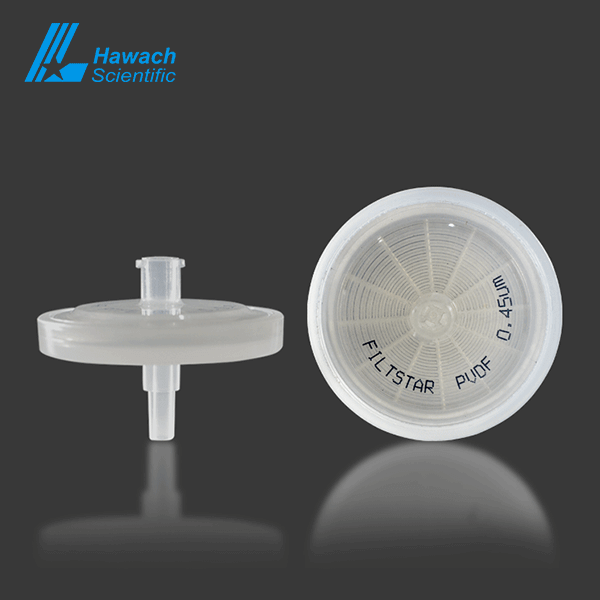 Hydrophobic PVDF syringe filters have a similar application to the hydrophobic PTFE, which is also used in corrosive solvents, strong acids, alcohols, alkali and aromatic agents because of its strong tolerance. 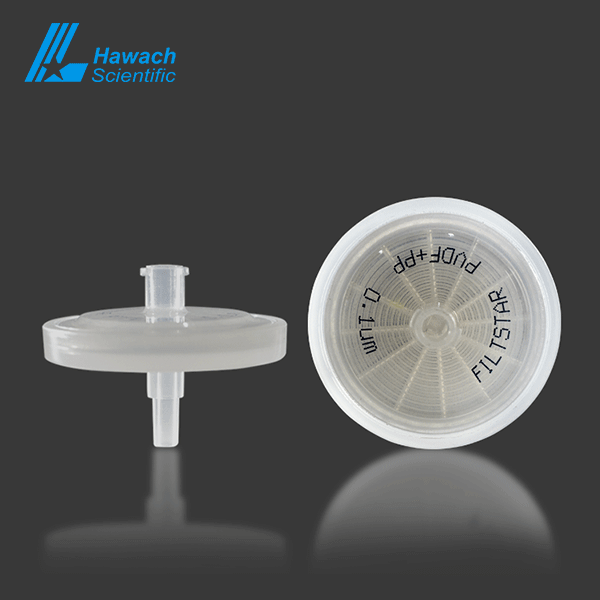 For biological research filtration, high protein recovery sample filtration. 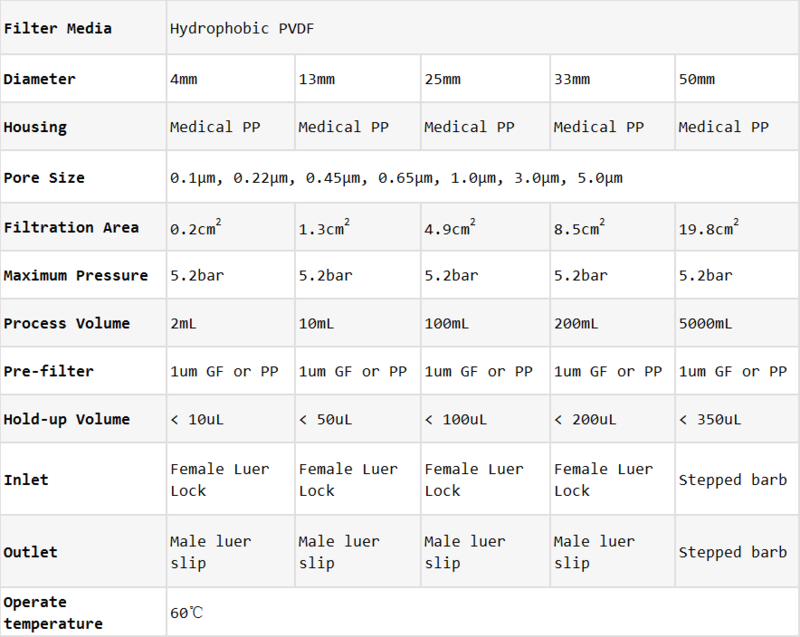 Incompatible with: Some, bases, strong acids, esters, ethers or ketones.